Traditional testing methods for mobile apps focus on detecting execution errors. However, the evolution of mobile networks toward 5G will require additional support for app developers to also ensure good performance and user experience. Manual testing in a number of scenarios is not enough to satisfy the expectations of the apps’ end users. 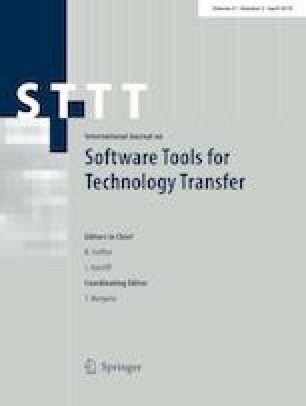 This paper presents the testing framework developed in the TRIANGLE project (https://www.triangle-project.eu/), which integrates a complete mobile network testbed to test, benchmark and certify mobile apps. In this paper, we focus on a recent extension of the TRIANGLE framework that uses model-based testing based on model checking to support the automatic generation of user interactions. We introduce the complete testing framework and the basis of the model-based extension. Finally, we use the testing framework to evaluate the performance of the ExoPlayer app in different network scenarios. ExoPlayer is a video streaming app for Android that implements different adaptive streaming protocols. This work is funded by the European Union Horizon 2020 research and innovation programme, grant agreement No 688712 (TRIANGLE project) and 815178 (5GENESIS project).